SKP Models of the Czech Republic has joined the endless flood of after-market products that the Meng and Takom Leopards kits have sparked. 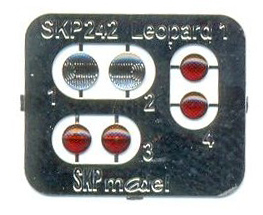 SKP's offering is a set of headlight lenses and taillights. Set no.242 is thus their latest offering in a vast range of similar offerings for many AFV kits. Generally, their offerings are well worth spending money on as they provide a much better appearance than most of us can achieve with paint at a low cost. There are other manufactures of lenses out there. 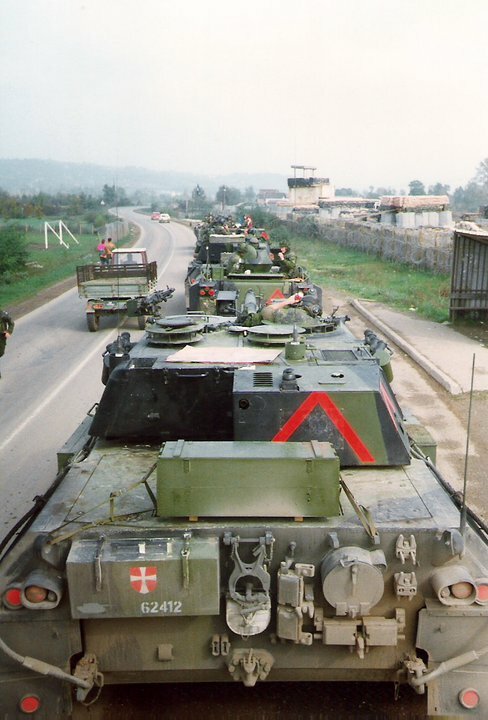 However, SKP Models' offering have details of the patterns on the lenses included and offers a complete set for one vehicle in one bag. 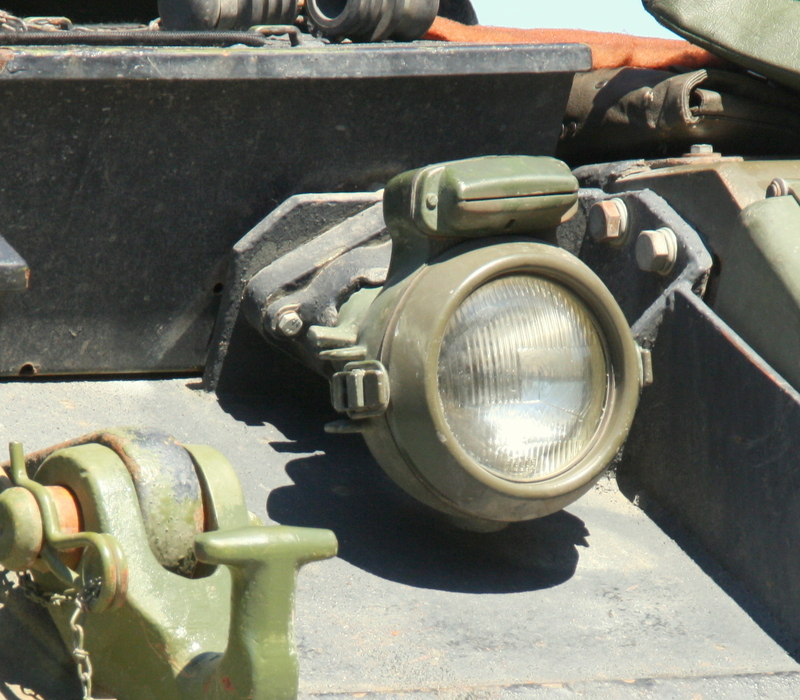 Their offering for the Leopard 1 tank consists of two headlight lenses, two taillights and two reflectors. 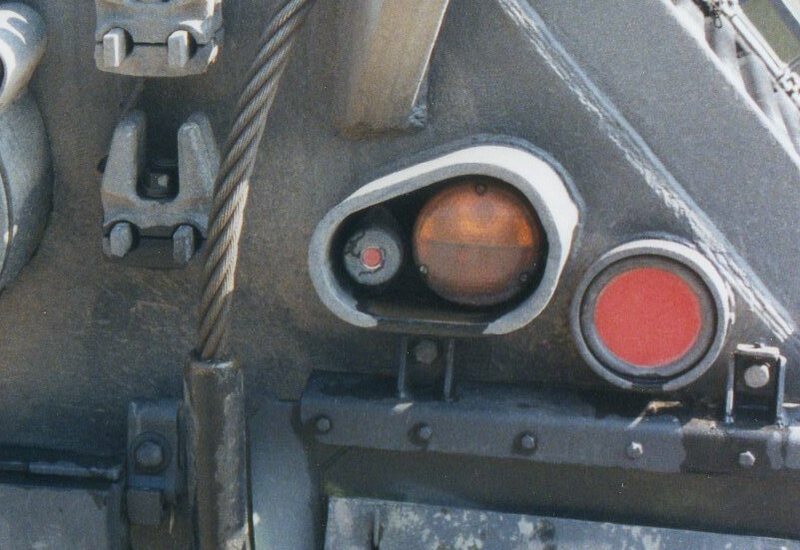 For anyone familiar with the Leopard 1, it would seem obvious that there should be four reflectors. From the photos they post on their website, it seems likely that they haven't noticed that the mud flaps also have two. Surely the production cost can't be much higher to include all four of them? However, I don't think this is a big issue. I had to spend time in my personal archive to find a picture with the mud flap folded down. In most cases, at least in the Danish Army, they are folded up, in which case the reflectors are hidden. Another side of this issue is whether to use the SKP reflectors at all? 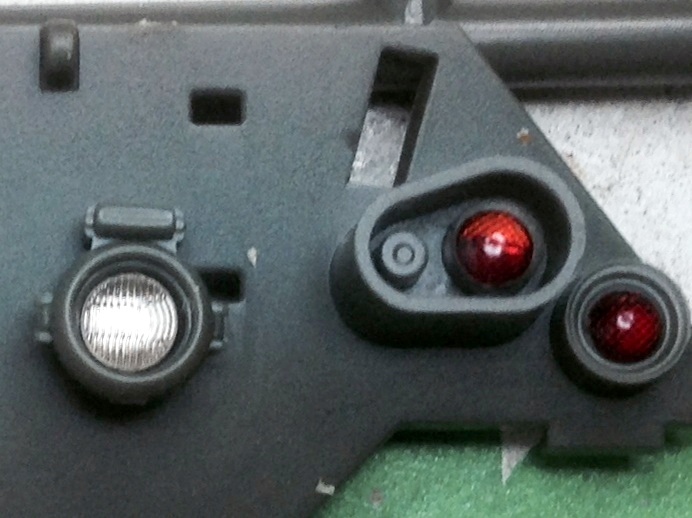 The real reflectors are not concave in shape as they are in the kit. Once placed on the kit I fear they are going to look like extra taillights. The quality is good, as always in this line. They have been produced flawlessly and the fit is bang on. The labelling or website doesn't say which kit they have been produced for, but they fit both the Meng and Takom offerings as well as the Italeri/Revell ones, though the headlight lenses are a little small for the Meng/Takom headlight shells. The Italeri/Revell headlights ned to be drilled out though. I think that once placed, the taillights will be a little too close to the edge of the housing. One would probably need to take off some of the edge to get it right - but that might just be me? In my photo, due to the limitations of my photography, the orange does not show too well, but it is certainly there. SKP ask € 6.40 + P&P for the set as they do for most of their sets - regardless of the number of parts. If you compare this price to Meng's new set of tracks at € 8+ + P&P, then € 6.40 seems a little high for only six lenses (two less than needed). Nevertheless, in the future, my Leopards will be made with this product. These headlights and the taillights are too good to be ignored.